← Green Lanes Mean What? Cycling has lost a true hero. 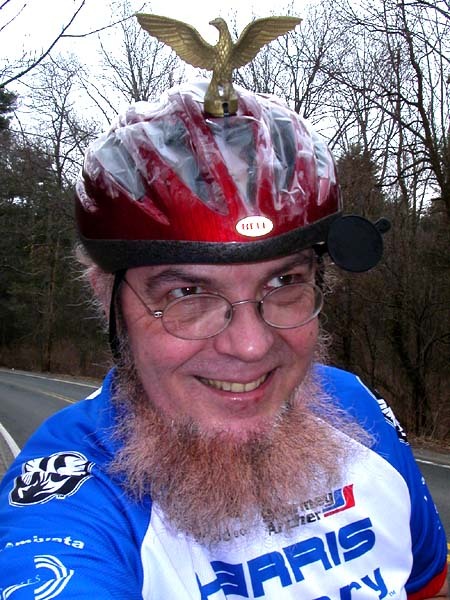 Sheldon Brown, beloved in our circles for his massive, freely shared online body of cycling knowledge, passed yesterday. As someone who has worked in online content and community I can attest that Sheldon’s impact transcends the bike industry. His efforts showed how “user-created content” and open discussion can be useful, respectful, and very relevant — without needing to be beholden to large advertising budgets, publishers, or the whims of industry. A rare combination of thought leader and leader through action, Sheldon will be truly missed. Our thoughts go out to his family and friends. This entry was posted in bigger than here, bikes and tagged bicycling, bikes, content, hero, obituary, online content, sheldon, sheldon brown, ucc. Bookmark the permalink. The guy was amazing. He’ll certainly be missed. We, like many around the world, mourn this loss. He was and still is a true inspirational figure who will be dearly missed, but never forgotten. Condolences to his family, friends and everyone whom he touched. Thanks for all your comments. I see Sheldon’s sharing spirit in all the tributes being written across the web today. He’s left an amazing legacy. It was after discovering Sheldon Brown’s amazing website that I realized the internet could be a tool for community building. By sharing his interests and knowledge, in his very special way he inspired me to unleash my imagination on stuff like I did when I was a kid! His instruction was much appreciated. Sheldon “still cycling the Eworld” Brown, though your shell rides no more, your spirit shall cycle forever. Sheldon Browns bicycle obsession would merge with mine and I would join in the search for the fantastic and the magical things in bicycles. Sheldon Brown, proof of the magical coolness of cycling.